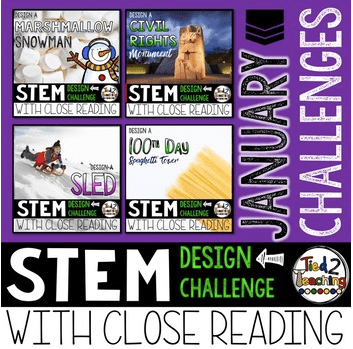 Tied 2 Teaching provides a great addition to our normal school schedule with their STEM Activities, Full Year of Challenges with Close Reading! Tied 2 Teaching was founded by Matthew Kelly and loves integrating math and science and literacy to develop the whole student. And he loves making it fun. 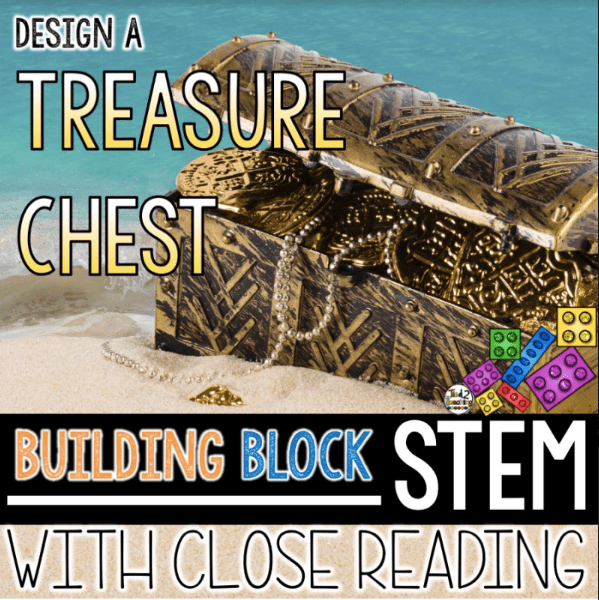 STEM Activities, Full Year of Challenges with Close Reading provides Challenges with included “close reading” that brings literacy into the STEM mix. There’s even some history if you really want to get it all in. 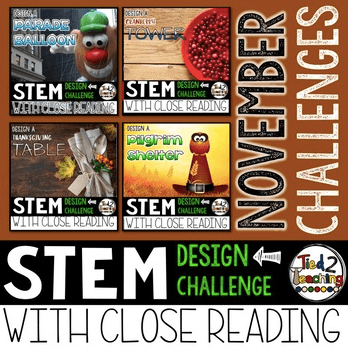 The STEM Activities, Full Year of Challenges with Close Reading is a collection of bundles of challenges that correspond with the month and holidays and observances that take place in that month. 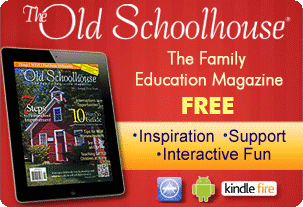 Each month has a bundle of 4 activities to chose from or do one per week. 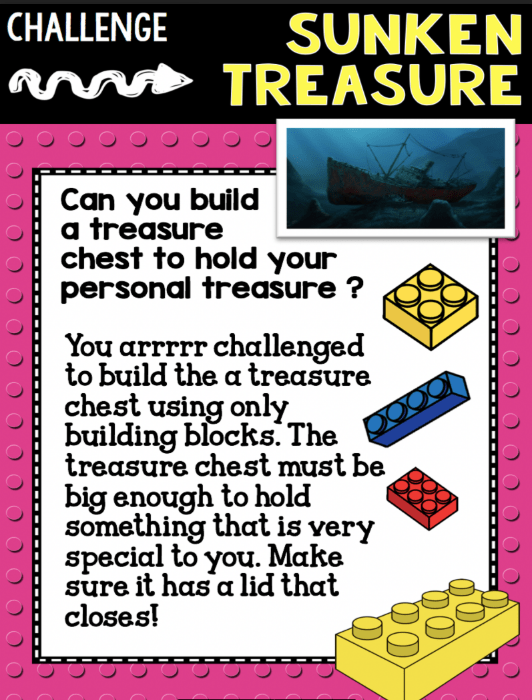 August includes a Mega Pack of Building Block Challenges too. There are 65 individual files included in the bundle. 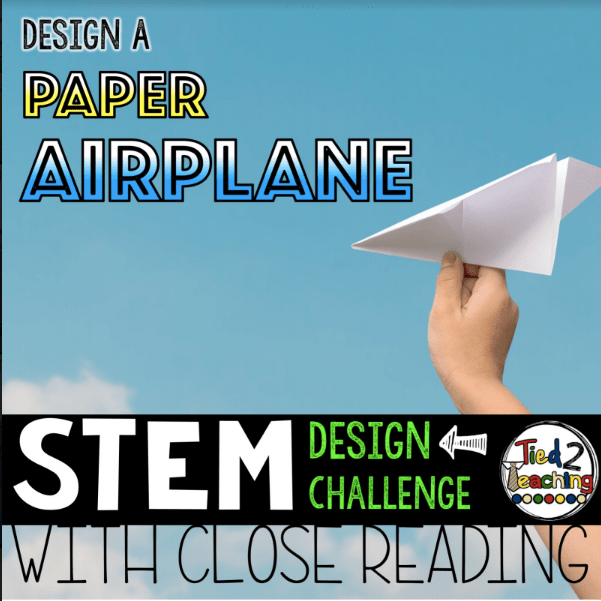 The extras include a link to a reading passage as well as questiosn related to the reading, stem design challenge and a varity of worksheets to assist the study in planning and detailing their challenge. The entire collection comes in a zip file which can be opened up on Google Drive for storage and convenience. Because the product is digital, you can print as many copies as you need for your students. It is a very large file but the fact that it is in the Google Drive makes it a little more palettable. 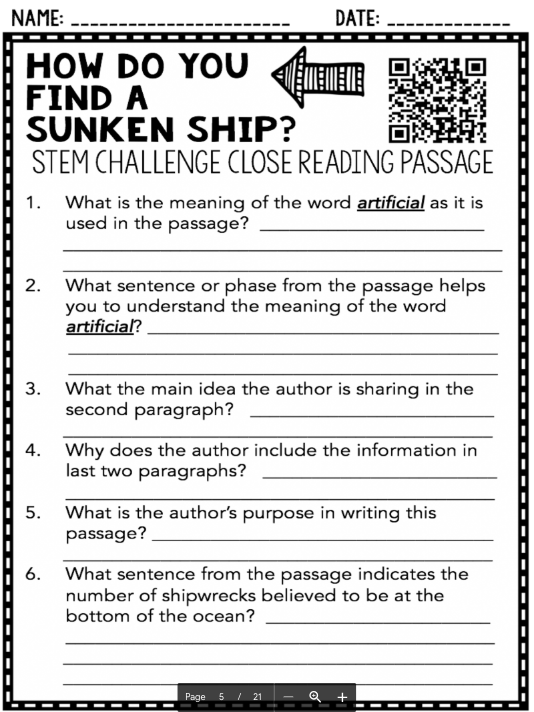 Each of the bundles has units that come with critical thinking questions based on the “close reading” passages that come with the bundle. The units are set up for the close reading to be done first and then for the student to have the challenge introduced and then utilize some of the worksheets to plan the activity. 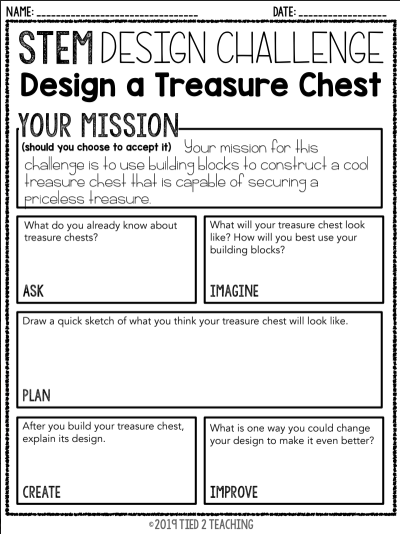 Some of the units include actual pictures of the completed challenge to give you and the student ideas on how to proceed. 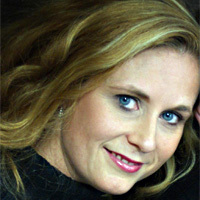 There are so many choices and flexibility in how to use the program. It is definitely a lot of choices and projects for the price. The kids had a great time working through the projects. We worked on several of the projects just based on what was interesting to the kids. We did 2 February projects since we worked on the projects in February and March. However, we then chose some that were of general interest to the kids. We worked on several of the projects throughout the review period. The kids loved the challenges and enjoyed all the ones we worked on. Overall we really enjoyed these activites. Though my kids did not really like the extras that were included, they definitely liked the challenges. They were all smiles and having fun working on them. My son did attempt a challenge that entailed building flags of other countries with Legos. He’s a huge history buff and knows all the flags by heart so this was right up his alley. However, we did not have the right colors (enough of some) to build the flags he wanted so he was a little frustrated but that’s just how he gets. Otherwise, both my 5 year old and my 9 year old had a blast with the challenges. The kids loved the building block activities and had a blast doing them. They were definitely not into the planning paperwork but they had fun doing them and working them out together. 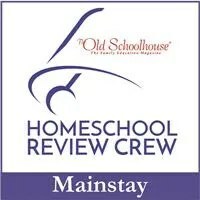 Be sure to check out what the rest of the Homeschool Review Crew has to say about Tied 2 Teaching and their STEM Activities, Full Year of Challenges with Close Reading by clicking the banner below. And visit Tied 2 Teaching﻿on social media too!